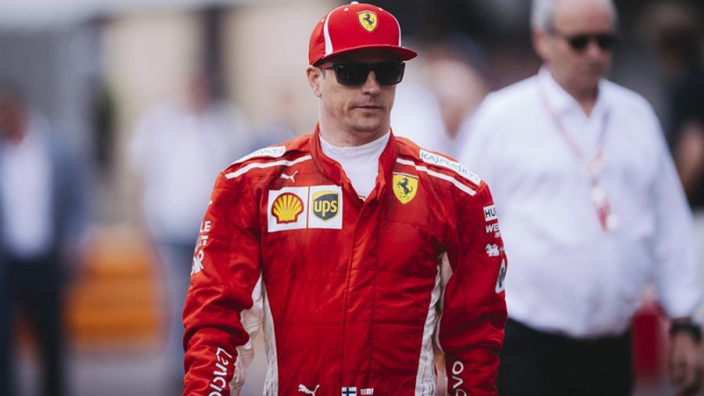 Kimi Raikkonen mysteriously suggested that his options for 2019 in Formula 1 remain open after the Italian Grand Prix was played out against a backdrop of renewed reports that he will lose his Ferrari seat to Scuderia junior Charles Leclerc next season. Raikkonen was unable to convert his first pole position of 2018 into Ferrari's first home win since 2010 as Lewis Hamilton got the better of the Finn with eight laps to go after a thriller at Monza. Although Raikkonen is reported to have the backing of new Ferrari CEO Louis C. Camilleri, it emerged over the weekend that Leclerc has already signed a deal for next season - agreed with former president Sergio Marchionne before his passing in July. A swell of support around Leclerc earlier in the campaign saw Raikkonen linked with a swap move to Sauber as well as his former team McLaren. When quizzed on his status, the Finn was typically enigmatic. "There's always going to be options," he said. "In life generally. It depends on what you want to do. It depends on a lot of things. "So, we'll see in the future what will happen and that's about it." It is now 109 grands prix since Raikkonen's last win in F1 - the 2013 season-opener in Australia - and the Finn has rarely come as close to ending his drought than here. He explained afterwards, however, that victory had been rendered "impossible" by the state of his tyres after being backed into Hamilton by Valtteri Bottas. "I think it was quick enough but unfortunately our rear tyres went and it was a losing battle since that point," he said. "I tried but it was impossible in the end unfortunately. It's far from ideal but this is what we got today and we did our maximum. "Yeah, I mean, for sure we tried, but if you look at the rear tyres, they gave up before the race ended but at least we take the second place and we keep fighting."